Logging in the post-World-War-Two era hit streamside forests especially hard, leaving many creeks with little shade and barren banks. As a result, erosion filled pools with silt, sunlight continues to heat the shallow waters beyond the tolerance of salmon, and streams lack the large logs that provide young salmon and steelhead with essential cover from predators. 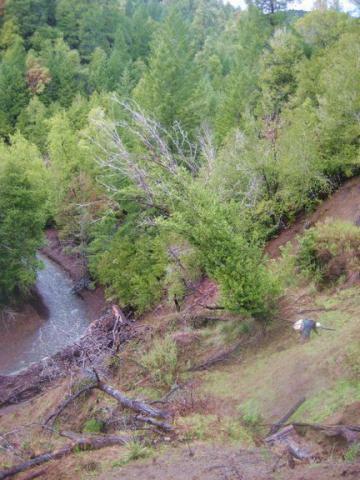 To remedy these problems, the Council plants Douglas-fir and redwood along streams, secures streambanks with structures such as woven willow walls, plants a variety of native brush and tree species, and selectively thins dense stands of young forest so the remaining trees grow faster. If you’ve noticed stretches of streambanks that might benefit from planting or thinning to speed the recovery of the riparian forest, please contact us for a free, no-obligation survey. The fall 20013/winter 2014 season of Riparian Ecosystem Restoration has come to a close. Here are some highlights from this year!